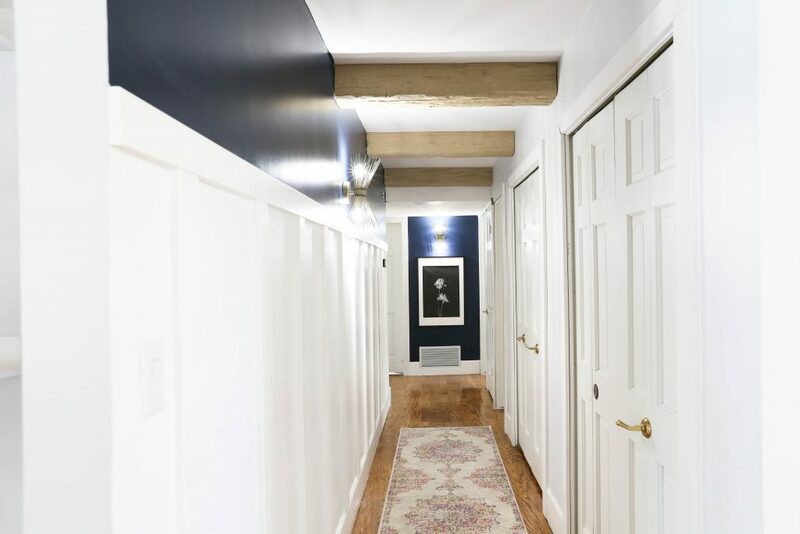 A hallway can be a boring space but it does not have to be. 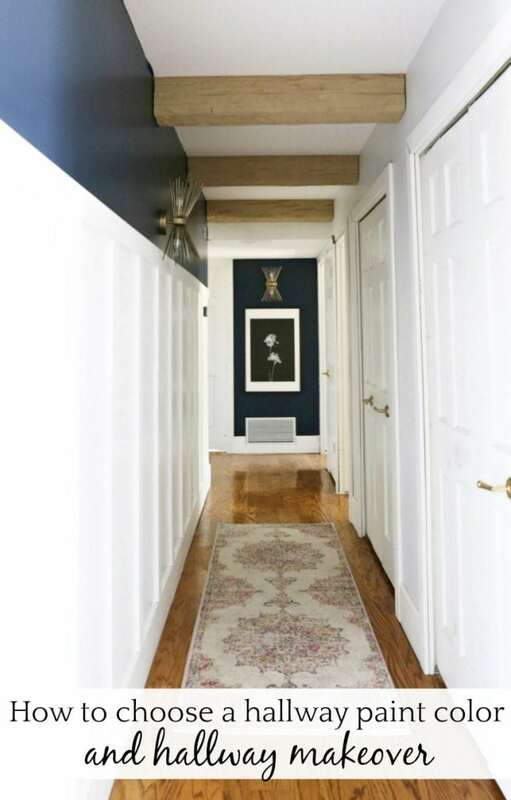 When you are choosing a hallway paint color you can add so much personality to the space by doing something fun. My hallway when we moved in was boring, and out of date and it was also one of the first things you see when you walk into my house. 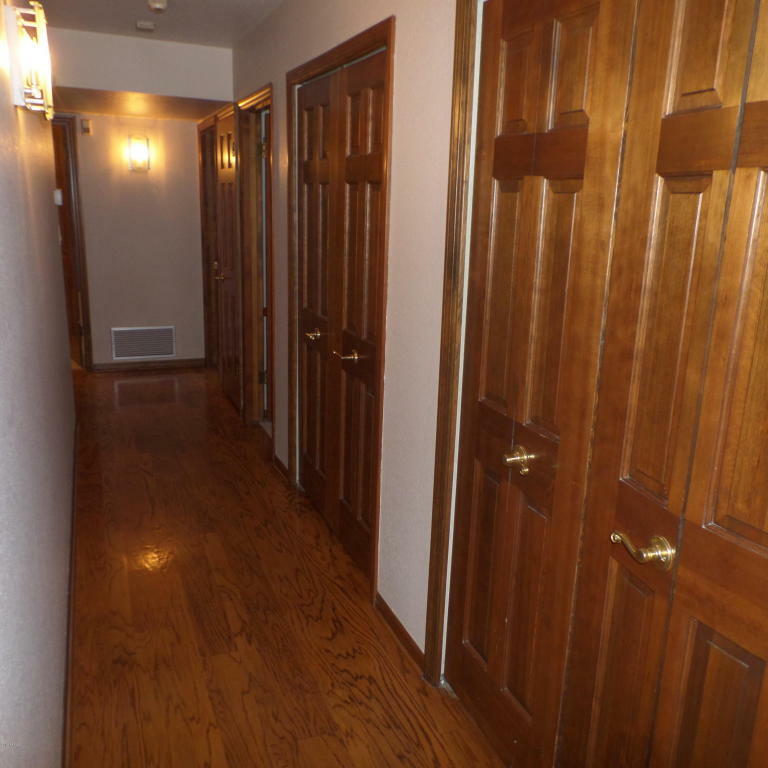 A few things I did not like about the hallway was the dark doors. I felt like the doors made the hallway seem out of date and dark. I wanted the hallway to have more personality. I knew it needs a facelift but I was not really sure what I wanted. At first I was thinking I was to do some more light and airy in the space. 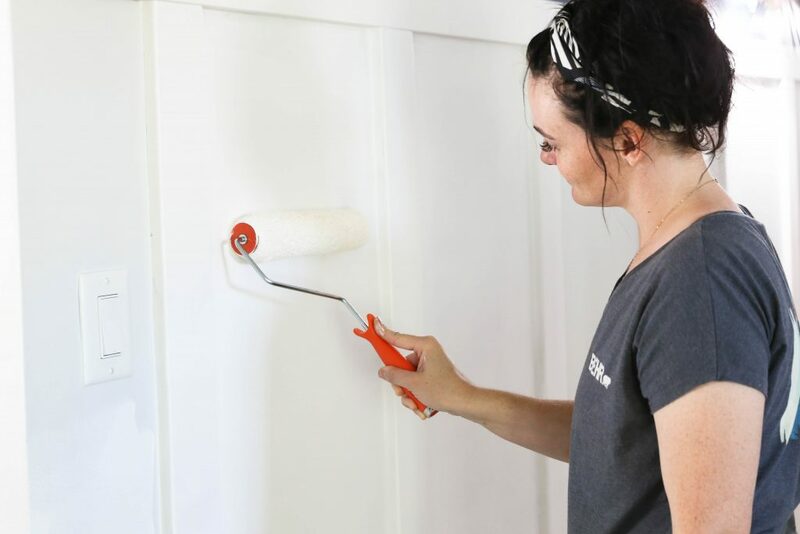 I started by painting my doors Ultra Pure White in Behr PREMIUM PLUS ULTRA® Interior and I knew I was off to a great start. 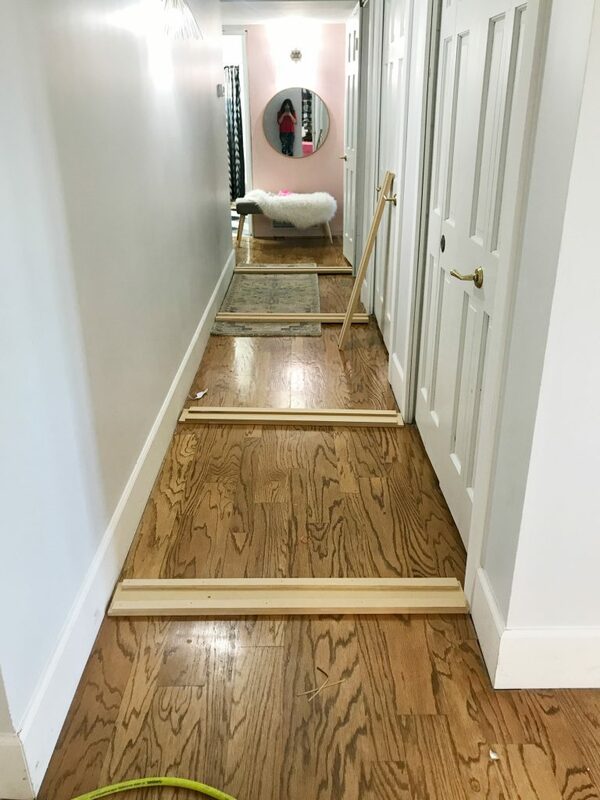 My hallway leads to my kids room and I wanted to add a pop of color to the end of the hallway and so I went with Noble Blush,MQ4-04 and I really did love how it turned out. I left the hallway like this for a very long time and I loved it. Then one day my husband came home with this fake beam from a job he was on because someone cut the beam the wrong size and would no longer work at the job. 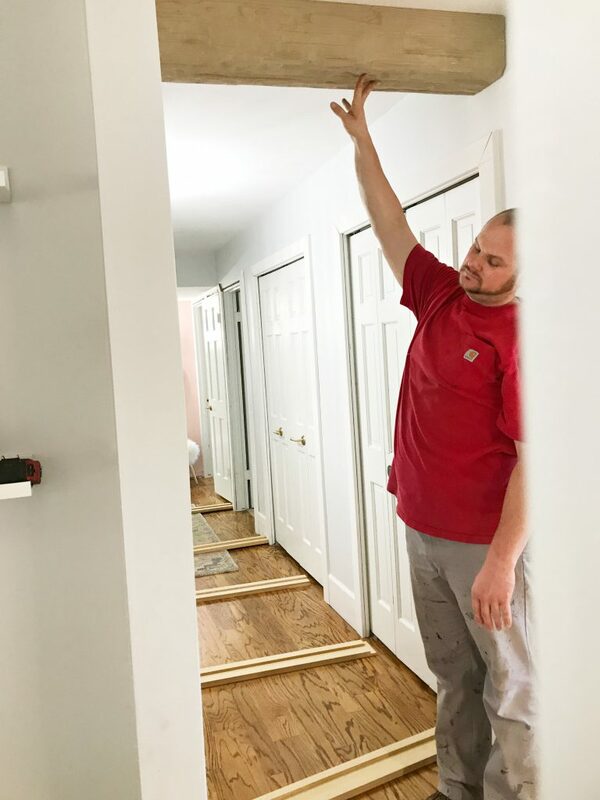 He knew that we could use the beam to add a bit more texture to the hallway. We installed the new beams and I loved them. Now with the new beams in place I wanted to the hallway to have more of a dramatic feel. Mallory was at my house to work on a few projects and updating the hallway was on the list of projects. 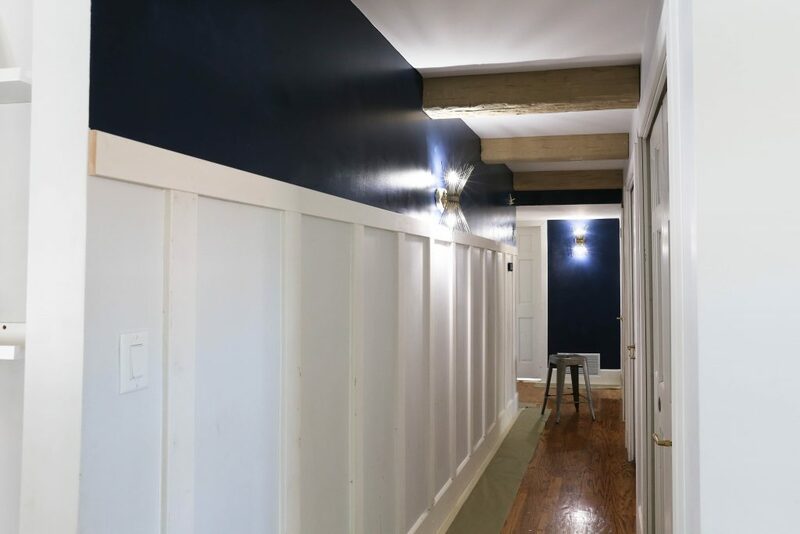 Now that the new beams are up it was now time for choosing a hallway paint color. How can we help you choose a paint color for your space? Choosing a paint color can be really hard sometimes. I sometimes have a hard time imaging exactly what it will look like in the space. 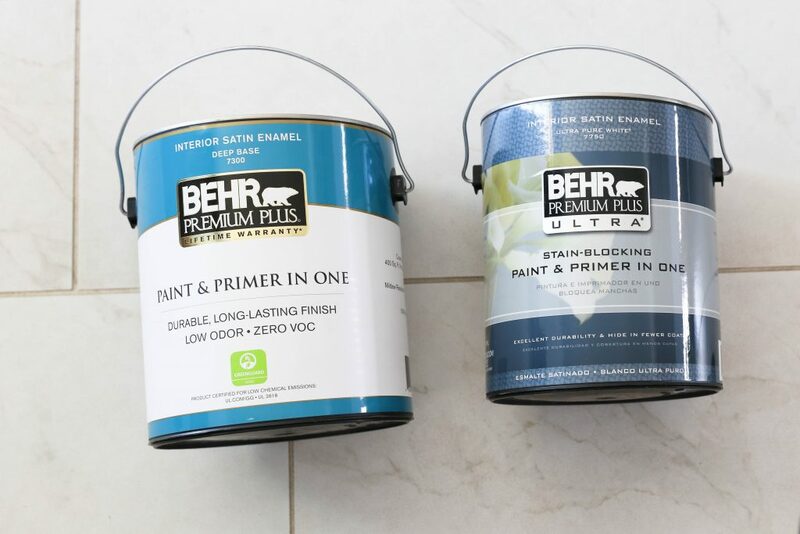 But Behr makes it easier now more than ever. 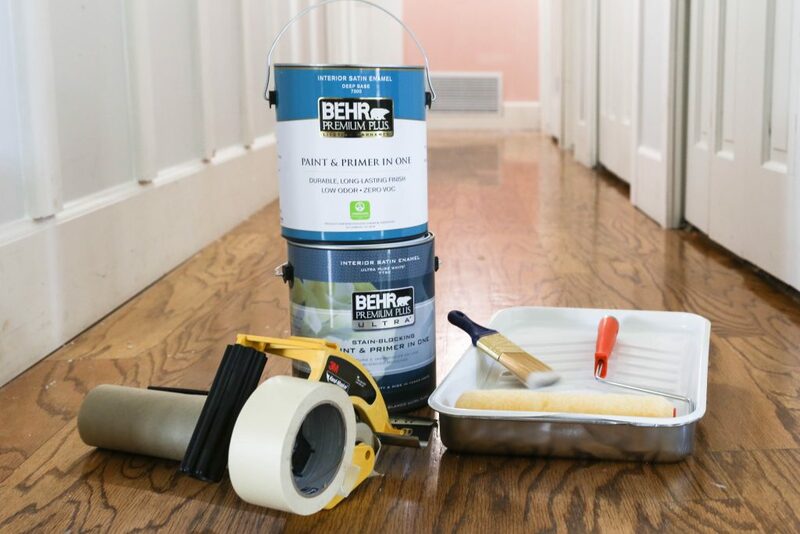 Mallory and I went over a few different ideas for the hallway and then we checked out the tools on the Behr Paint Color Studio site. The Color Studio is amazing because it can help you when you are choosing paint colors. The ColorSmart tool gives you different ideas on different paint ideas and color combinations. And, with the Paint Your Place tool you can also upload a picture of your space and then select a paint color and see exactly how it looks. 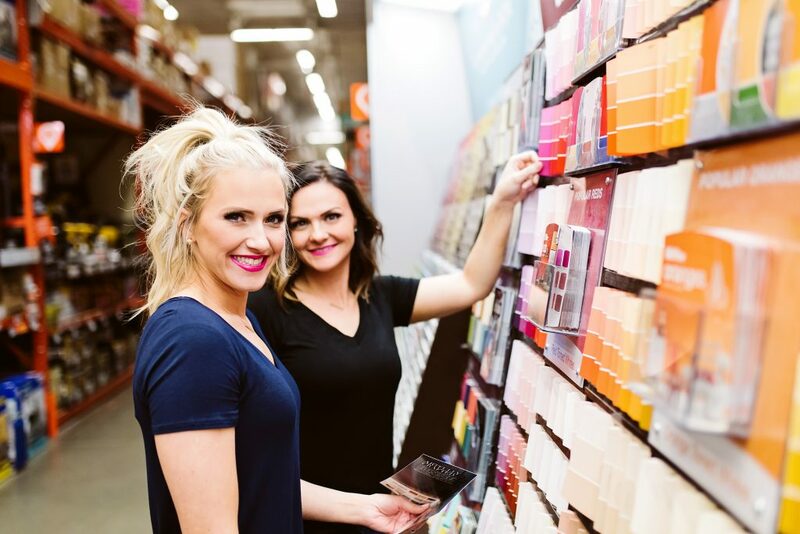 After you have selected a paint color then you can head to Home Depot to pick up a paint sample or conveniently just order it online! I wanted my hallway to have a more dramatic look. Mallory and I decided that doing a board and batten wood treatment would add so much texture to the space. 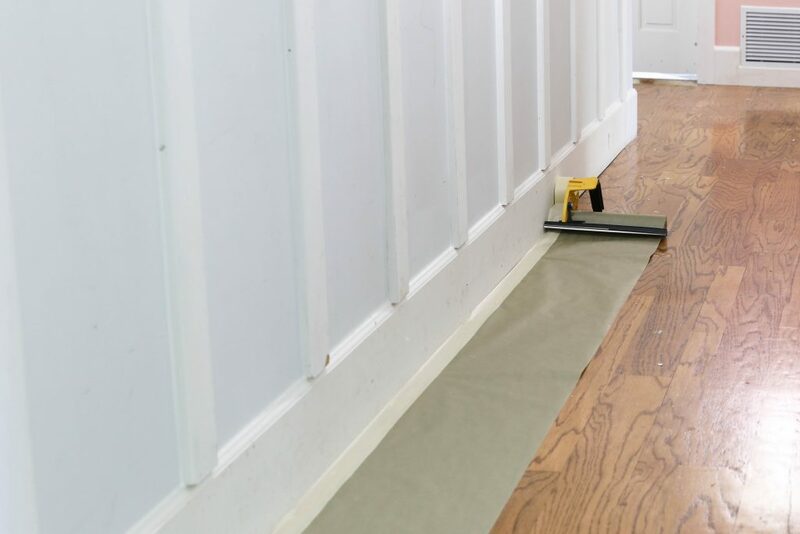 We did the DIY board and batten on the wall first (tutorial coming soon!). And for the paint colors we selected Ultra Pure White in a satin finish for the board and batten and trim which is our go to white. We have both used it for all our base boards and trim and then Savannah did the exterior of her house in it as well. For the top color we used our favorite navy which is Starless Night PPU14-20 in a satin finish. We have also used Starless Night in Mallory’s Basement and Mallory’s living room. Now that we picked the colors now what? We headed to Home Depot to pick up our supplies for the project. We taped off the floor first. Then we started cutting in the edges with the Starless Night. Then using a roller we rolled the rest of the Starless Night on the wall above the board and batten. After the wall above the board and batten was done we used a paint brush to cut in the edges of the board and batten with the Ultra Pure White. Then we rolled on the rest of the board and batten with the roller to complete the project. I have loved how my hallway has turned out. I love that it has such a dramatic look and it has so much personality. 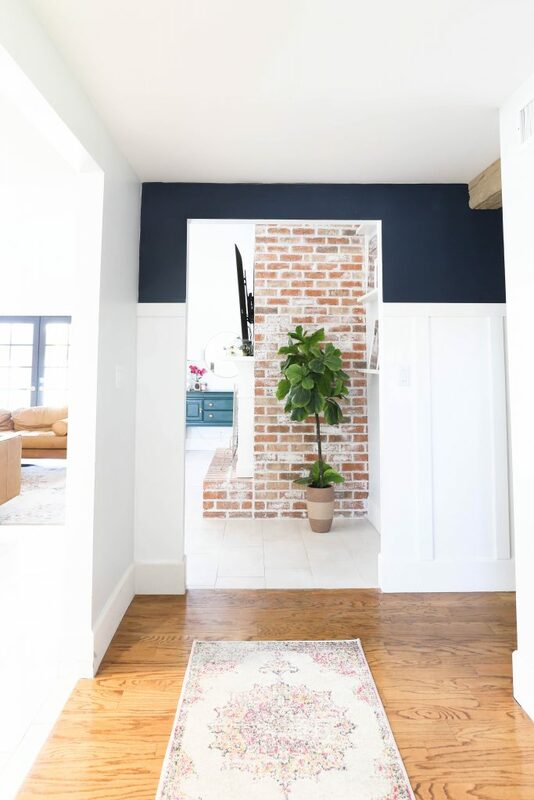 Using the Behr Color Studio it was easy for me to select the paint colors to use in the space and I love that I was able to see what the space was going to look like before I even started the project. 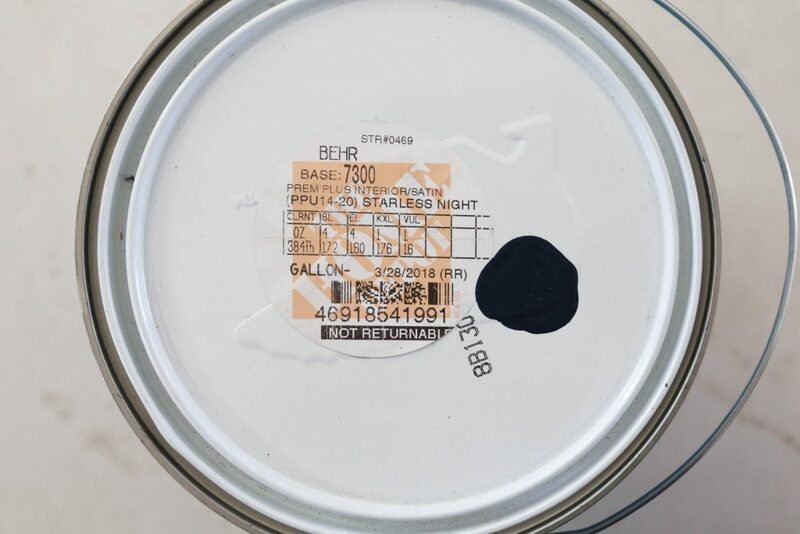 If you’re ready to choose your paint colors, head over and check out Behr’s Color Selection Tools on the Behr Color Studio. Leave us a comment on this post and let us know which colors you would choose to enter to win $100 gift card to Home Depot! I love Silver Shadow. A great neutral that doesn’t feel dull. What a beautiful transformation. I really like the Behr color “in the moment” t18-15. It’s a color i would love in my kitchen. 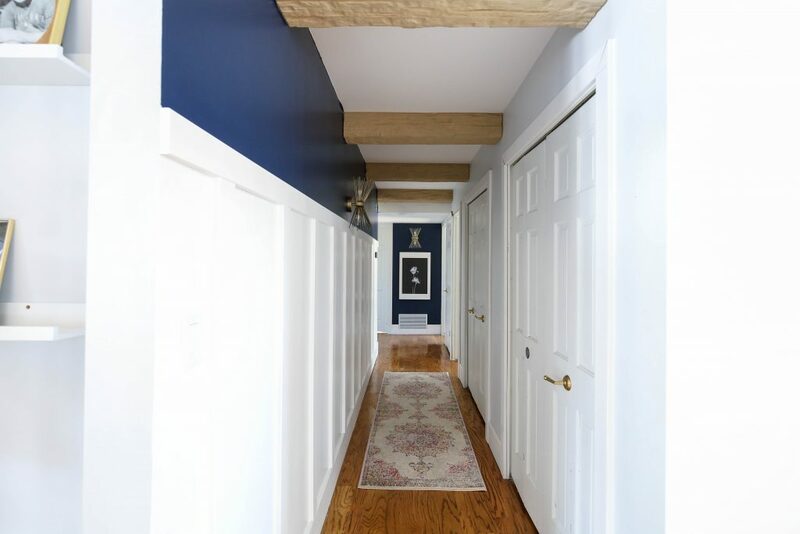 I love the colors you chose for your hallway! I went to the site and there’s so many to choose! My daughters been wanting to paint her room a teal color…so I’m thinking accents of the Tahitian Breeze! I would love to give my front door a makeover with the color Equilibrium! I love the Navy that was chosen here! I need to keep it in mind. 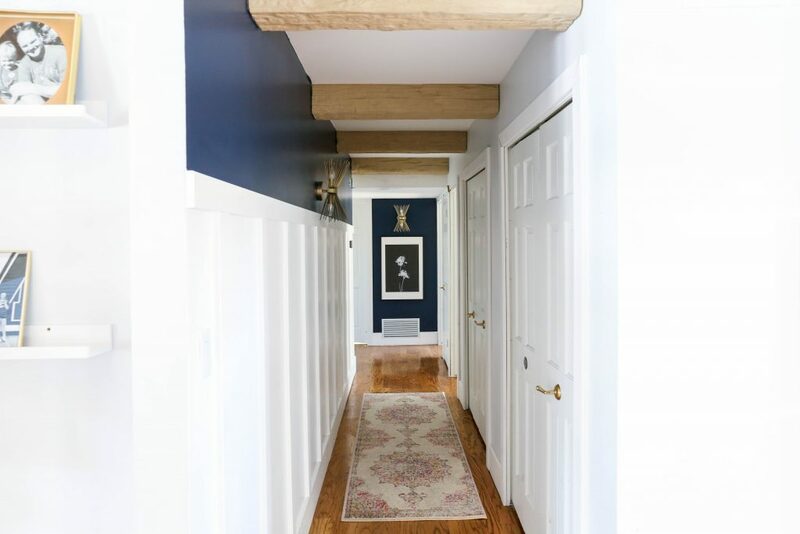 Such a beautiful home and the hallway adds so much! I would pick seagull grey and peaceful blue! The color discovery took is so great! I love So Shy for my half bath and English Channel for my office! I love Swiss Coffee! I’ve used it in my bathrooms and just painted my stairwell that color. Omw this is AMAZING!! It doesn’t even look like the same home! You guys are incredibly talented! I would probably choose Posture and Pose or Melted Marshmallow for our youngest daughter’s room! Been debating between gray tones or tan tones for our new living area update. I would say I’m stuck between the Spun Wool or the Moth Gray. Both would brighten up the dark space so much! Barely brown & gentle sea! I just got a new headboard in my master bedroom and can’t wait to get some new paint on the walls! I love the blue. 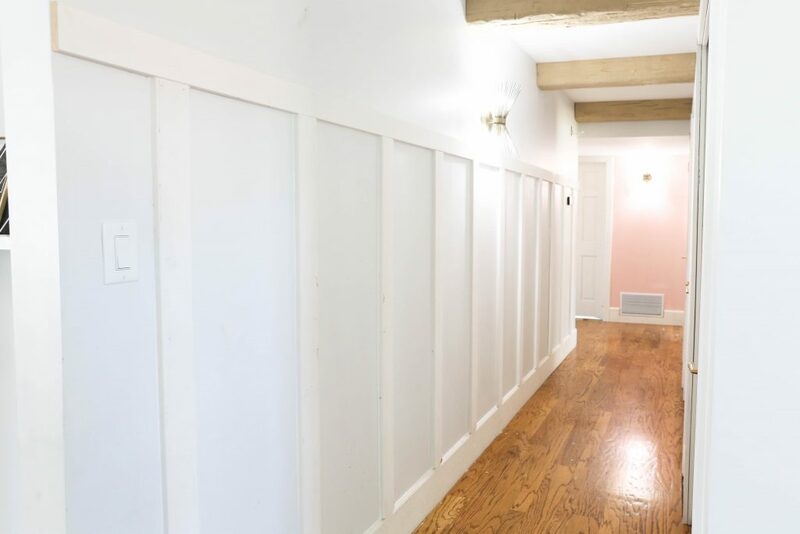 I really want to paint our hallway doors white. 🤔 this makes me reallly want to! And white wash our fireplace. I really love the color rushing stream for a pop of color. My living room has one wall of similar blue and I love it! I’m really loving Beachside Drive as an accent wall color behind our fireplace. I like Casual day. When we get around to redoing our master bath, I think it’d be perfect. Thanks for the giveaway. Beautiful hallway! I like Flint Smoke and Hazelnut Cream. Love this! I’d pick silver drop and midnight show for the paint colors in my laundry room/bathroom. I love your hallway! It’s crazy how just painting some doors can change the whole look! That’s how my house was! Next spring we are painting the outside of our house. I’m wanting a blue. I like the midnight blue, or a deep dark blue! I like that Behr let’s me up load a picture and check out the colors!! That will come in handy with the outside paint color!! Ever since seeing both of your rooms/ hallway with the Starless Nights I’ve been dying to do something in a deep blue. Doorway, living room, a piece of furniture.. I can’t decide though because I’ve never done anything bold on my walls!!! Now with this website I can put the dream into reality!! I really want to use Behr’s Velvet Rope somewhere in my house after painting my mom’s bathroom with it. It’s close to navy, but maybe not quite as dark as Starless Night. We used ultra white on our board and batten and it turned out gorgeous. Also love In The Moment T18-15, which is the color of the year for Behr! This is so amazing to see! It’s crazy how crisp, bright white can change a room. 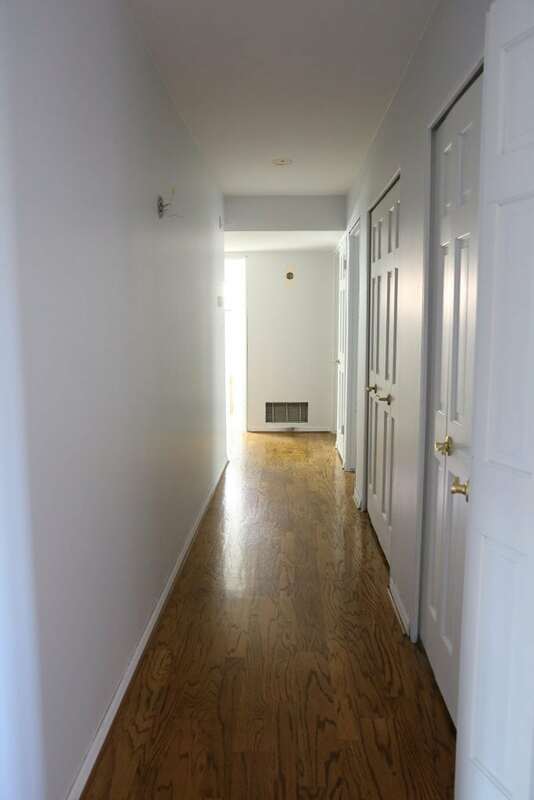 We are moving from our very tan home to a new blank slate soon and I can’t wait to paint with Behr NYPD, In the Moment, and Underground gardens. I’m feeling so inspired by your hallway, it looks sooo good. I love the Dark Navy! Have to admit, I’m a neutral girl and am in desperate need of white paint for a dining room project. May have to use your recommendation!! So many great choices but I would go with blue mosaic or blue stream! Going for the Starless Night. Love the makeover! 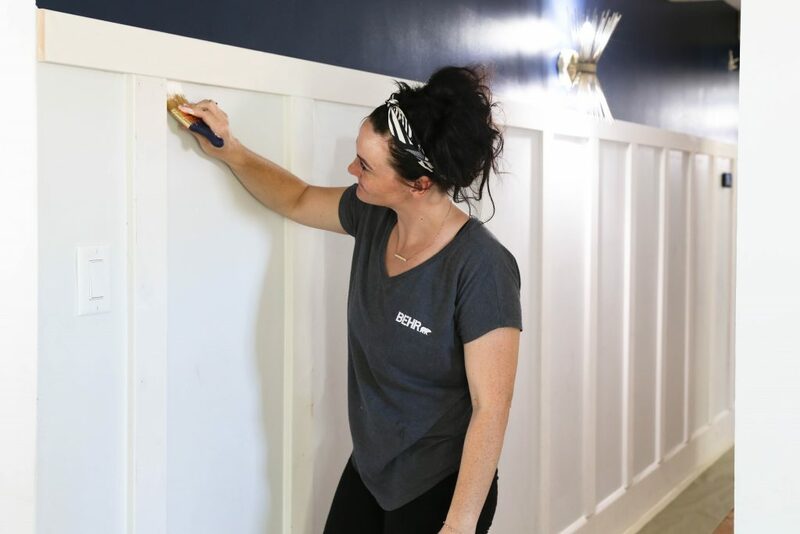 We painted our board and batten wainscoting with Ulta Pure White as well. We love In The Moment, which I think is the color of the year for Behr! Love it! We painted our board and batten with Ultra Pure White as well. I love In The Moment, Behr’s color of the year! Wow, what a great transformation! Gorgeous!!! I love the paint colors seagull gray and polar bear. Love how the crisp white on the doors totally transformed the look even before you finished off with the dramatic opposing wall! It came together so great! I’m in love with Behr’s NYPD blue, and Underground Gardens! I am obsessed with Positiey Pink! Any of the griege colors have always been my favorites. With BEHRS color studio, I’m going to give it a try by taking a photo and superimposing the color, maybe then it won’t be so confounding. Wish me luck. YOU TWO ARE MY INSPIRATION..not sure where you get the energy but keep at it please! 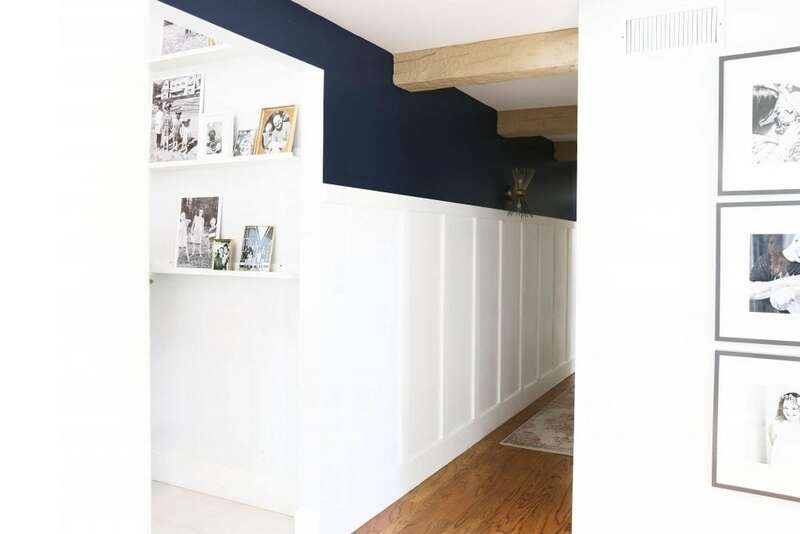 We painted our wainscoting bord and batten with Ultra Pure White as well! I also love the Behr Color of the Year, In The Moment. Great job with the renovation! 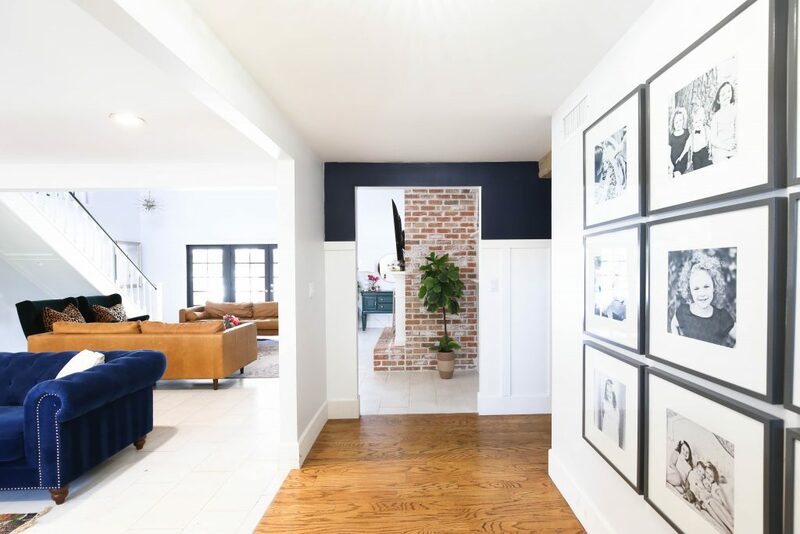 I love this project transformation! 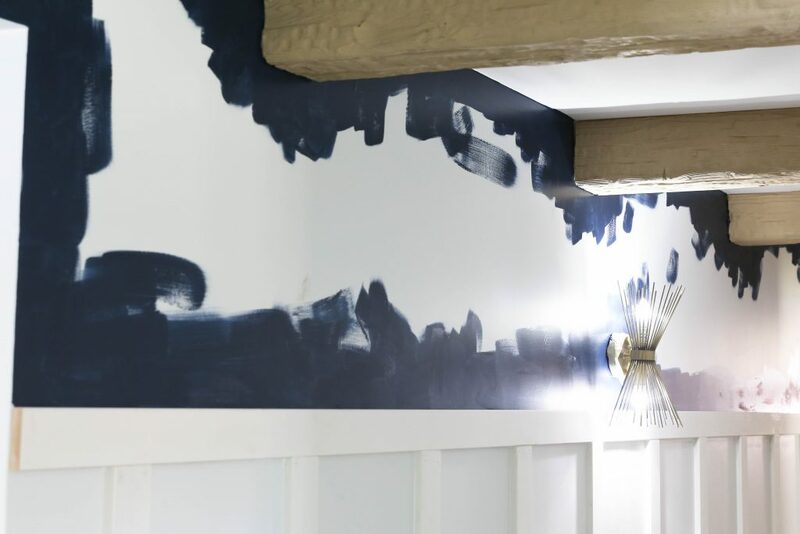 I love Behr paint and would use white and Ocean Abyss. Feeling inspired to go paint something now. Looks SO good! How tall are your ceilings? 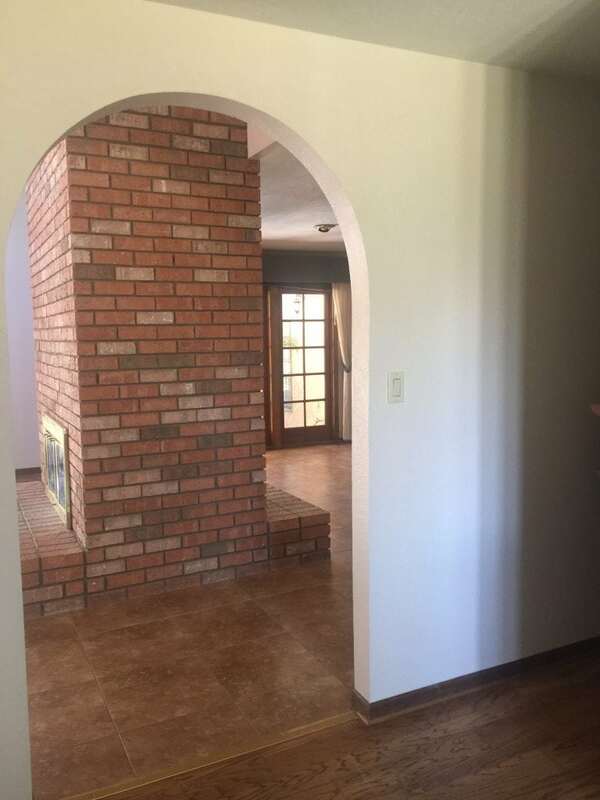 I’ve always wanted to add beams but too afraid my ceilings are too short. I’ve been looking for something to pep up my hallway! How high is your board and batten? Love the board and battan! I would think about using Astronomical above! Really nice. Looks so much brighter. I would choose Misty Coast for my sons bedroom. I have to use the Starless Night somewhere!! Definitely starless night after seeing your awesome transformation!